Here you can find our very best Spanish Immersion and Travel Packs for Peru with great Discounts! Summer 2016 is approaching quickly and you are looking for the best offers now, deciding where to spend your summer holidays. If you like to learn Spanish, if you love travel, adventure and culture, come to Peru! With our Study Abroad Programs, you will not only learn about Peru but you will LIVE Peru and make Peruvian (and international) friends while traveling, living your adventure and having fun. Our programs are for all ages, no limits. One thing you will notice during the first days of your Spanish course in Buenos Aires: you see many, many people drinking from beautifully shaped “tea cup” through a metal straw. This is the typical Argentine mate you might have heard of. 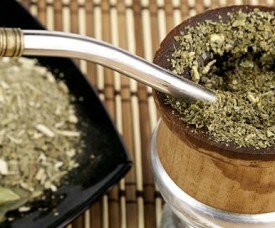 Mate is a hot drink prepared by steeping dried leaves of yerba mate and hot water. 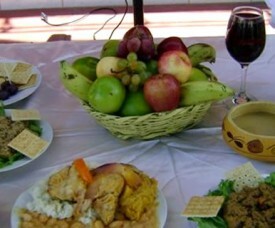 It is served in a gourd, a mate or a “guampa” in (Argentine) Spanish, and they drink it with a metal straw, a ‘bombilla’. Mate is a powerful antioxidant that contains many vitamins (A, B, C, E) and it has cholesterol-lowering properties. 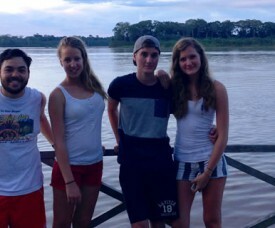 Thinking about volunteering in Latin America? 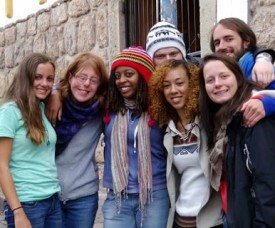 Peru offers the perfect posibilities for volunteering! Not only are there opportunities in almost every kind of work field, but you will also be able to practice your Spanish immersing into the Peruvian culture! 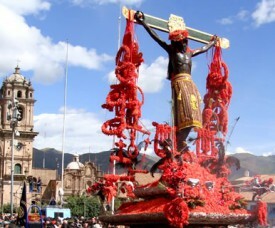 Semana Santa is coming up! Every since I arrived in Cusco for my Spanish Immersion Program in Peru, there are some questions that keep coming up and some thoughts that I continue to ask myself since arriving in Cusco. Do you want to know which ones? Why do I feel like I am always going uphill? Shop till you drop in Buenos Aires. Buenos Aires is the perfect place to live your dream as a shopaholic, as there are plenty of shopping malls to visit. The term “shop till you drop” has arguably been invented here in Argentina. Are you one of those students at our school here in Buenos Aires that love shopping? Here are some options for you, for a nice weekend of a afternoon after Spanish class in Buenos Aires. 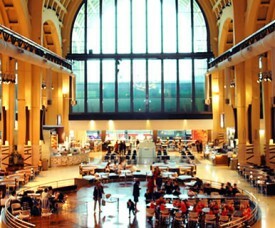 Check out the list below in order to discover the best shopping malls to visit while you are in Buenos Aires. Why is Peru the perfect place to learn Spanish? If you have been asking yourself why so many people are heading to Southamerica – and especially to countries such as Peru, or Ecuador – read this article. 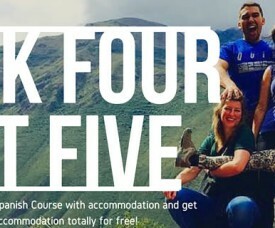 We’ve listed the Best Seven Reasons Why is Peru the perfect place to Learn Spanish? 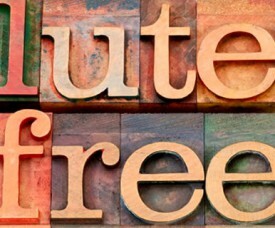 And if it was this blog that convinced you to book a Spanish course in Cusco, let us know and you will get a 10% off! 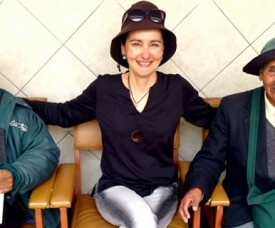 The Best Spanish of Latin America is spoken in Peru! My Secret Spot in Cusco. How many articles in travel books have you read on the “Top 10 sites” in Cusco, while you were preparing your trip for your Spanish immersion course in Peru? Most of them feature a list of the most famous and well known ruins, churches or museums that “you should not miss!”. But have you heard of this secret spot? 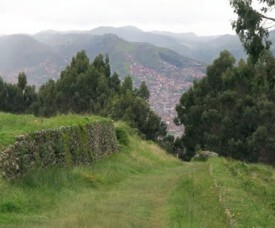 Although most ruins require the “Boleto Turistico or Visitors Ticket” to enter, this site is free and is also close to the city center of Cusco! The Templo de la Luna (Temple of the moon) is about 60 minutes walking distance from the Plaza de Armas and yet seems to be well hidden. If you feel like doing a bit of exercise and want to enjoy a beautiful day in the Cusco countryside, you should take a look at this ancient temple!